Time: 5.30pm onwards, starting promptly at 6pm – 8pm. Eating at seder can be complicated and we try to be as inclusive as possible. For this reason, in addition to our normal vegetarian policy, we also welcome fish for Seder only, but please no meat, ‘leaven’ or ‘kitniyot’ (rice and beans) – for more information on what you can bring click here. YLJC will provide symbolic foods for the Seder itself, and drinks for the 4 cups (covered by your donation), but please feel free to also bring wine and soft drinks to enjoy during the actual meal. By the way, we are often asked by members where they can buy food certified as kosher for Pesach. 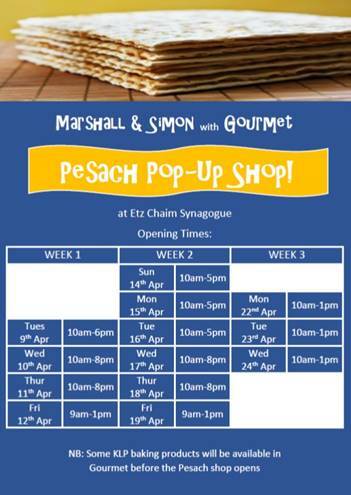 While as Liberal Jews we are not concerned by traditional kashrut certification, if this is something which is important to you, you may be interested in the Leeds pop-up deli at 411 Harrogate Road, Leeds LS17 7BY.